YAKAMA NATION AGENCY, YAKAMA RESERVATION – On Tuesday, March 19, 2019, the Supreme Court issued its decision in the matter of Washington State Department of Licensing v. Cougar Den, Inc. (No. 16-1498). Treaties with federally recognized Native Nations—like the 1855 Treaty at issue here, constitute federal law that preempts conflicting state law. Today the Court ruled that the 1855 Treaty preempts state laws that burden the Yakamas’ Article III reserved right to travel on the public highways, including the right to travel with goods for the purposes of trade. In the facts before it, the Court held that Article III, paragraph 1 of the 1855 Treaty secures for Cougar Den, a corporation licensed under the laws of the Yakama Nation, the right to import fuel into the Yakama Reservation upon public highways free from any state-imposed burden or encumbrance on that reserved Treaty right. 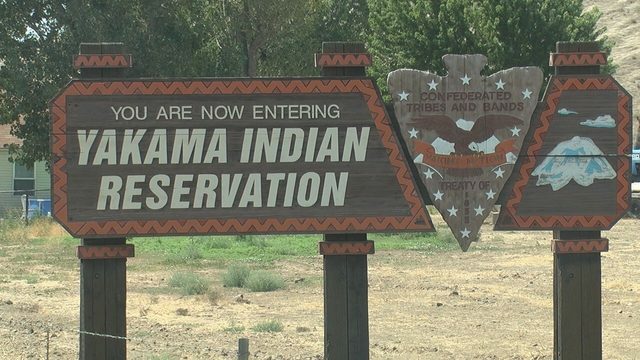 The Yakama Nation asserts that any interpretation of the Yakama Treaty must be consistent with well-established historical truths confirmed by oral traditions, the official record of the 1855 Walla Walla Council negotiations, and the Yakamas’ understanding of the terms of the 1855 Treaty. Today the Court applied those factual findings and, in its strongly worded decision, gave full effect to the 1855 Treaty’s terms and the Yakamas’ original understanding of them. “[T]he treaty doesn’t just guarantee tribal members the right to travel on the highways free of most restrictions on their movement; it also guarantees tribal members the right to move goods freely to and from market using those highways,” wrote Justice Gorsuch. Chairman Goudy states,“the United States and the State of Washington have reaped the historical, present, and future benefit to 1/3 of the land mass and resources of present day Washington State and it is this great sacrifice that our Yakama Nation gave up to have our rights memorialized forever.”. “Today, the United States Supreme Court has acknowledged and upheld our Treaty rightfully so in the face of present day individuals who sought to renegotiate the terms that were memorialized between our Nations in the year of 1855,and for that we are grateful. The dominating act to eliminate, over regulate, and or restrict our ability to conduct trade and commerce would have continued to dehumanize our Nation. Our Nation will move forward and continue to seek and initiate actions to address the well being of those things that cannot speak for themselves,our resources, as well as our enrolled members young and old for generations to come,” Chairman Goudy noted regarding the significance of today’s decision. The Yakama Nation wishes to acknowledge and express great appreciation for all the people who collaborated and worked diligently to achieve this hard fought victory. This case serves as a reminder to all Native Nations dealing with similar disputes to maintain a positive attitude, never give up in the face of adversity, and always fight to ensure that truth prevails. For additional information or comment, please contact Yakama Nation Executive Secretary Athena Sanchey-Yallup at (509) 865-5121, or Lead Attorney Ethan Jones at (509) 865-7268. This entry was posted in Tribal Leadership and tagged JoDe Goudy, Last Real Indians, LRInspire, Supreme Court, tax, Washington State, Yakama Nation by lrinspire. Bookmark the permalink. This a great victory native american nation i also believe it is illegal too have state couties on any federal land natiol parks b.l.m. natianal forest and indian reervations i have more info im chairman of blackfeet land owners asso. Given the context of our Treaties with the United States, one would and should assume that the pipelines that are going through tribal lands are illegal. The states, as the supreme courts have often concluded, have no authority over federally recognized tribes, but yet many states refuse to uphold our treaties and force tribes to take them to court. Its all about money, either way, the money spent in litigation and court fee’s usually ends up back to the state. The fact is, many states are violating Treaties by allowing these pipelines to cross our Treaty territories. Why is it that we have to fight these people in order for them to follow the laws. In the end, the Supreme court usually sides with the written documents that our Chiefs signed either by force or other reasons, but they are there and signed, legal and bonding, yet the states force tribes into lawsuits before they will honor any Treaty or federal laws. That’s what we have to deal with on a daily basis from the State, day after day. Wake up and wonder what they will try and take next, that is our life for many! No matter what though, we will not back down nor give in to bullying and brainwashing as these pipeline corporations have shown to use when they don’t get their way.